This innovative line of Architectural Grade PVC corbels sets itself apart by being project-perfect at standard-product pricing. 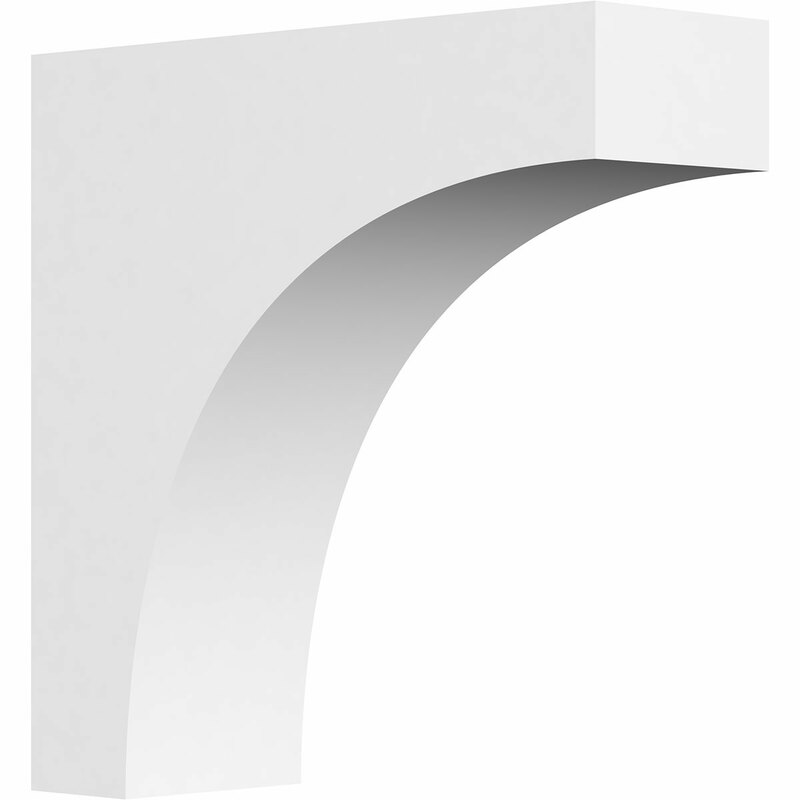 Project-perfect means that you don't have to go hunting for a standard corbel to fit your project; you can simply select whatever design you need, pick your width, depth, and height, and we will make you the perfect product at "off-the-shelf" pricing. Manufactured from Architectural Grade PVC, each product is highly weather-resistant, maintenance free, and comes with a lifetime warranty. View in Catalog View this item in our print catalog. Utilizing innovative polymer material with an expanded cellular structure, our line of Architectural Grade PVC products look and feel like wood, but has none of the natural disadvantages that wood comes with. This broad product line stands up to harsh weather, resist stains, scratches and fading, doesn�™t require annual sealing, resists mold, mildew, and moisture damage, and can be easily installed with simple wood-working tools. If you are looking for a low-maintenance product that has the warmth of classic wood millwork, Architectural Grade PVC millwork is the perfect fit for you. Project-perfect products at off-the-shelf pricing.